Branko Schmidt (1957) was graduated from the Academy of Dramatic Art in Zagreb, with degree in film and tv directing. Throughout his career he has directed eleven feature films and lot of documentary films and tv series. His graduation work was a television play called Early Maturing of Marko Kovac(1981). The following year he made Hildegard, a tv-drama that was voted best Yugoslav television drama. In 1988 he directed his first feature film, Sokol Did Not Love Himand won the Debutant of the Year Award at the Pula Film Festival. In the 1990s, he directed four feature films, including Christmas in Vienna (1997), which won the Golden Arena Award for Best Screenplay at the national Pula Film Festival. During the next decade (2000’s) he succeeded with the film Queen of the Night(2001) which had won Golden Arena awards for Best Screenplay and Best Production at Pula Film Festival. His next feature film The Melon Route(2006) won three Golden Arenas at Pula Film Festival: Best Actor, Best Art Direction and Best Sound Design as well as the Croatian Film Critics Award Oktavljan, the Grand Prix at the Dubrovnik Film Festival, and the Grand Prix Golden Antigone for Best Score at the Montpellier IMMF. In 2009 Schmidt’s most popular film Metastses(2009) was awarded with three Golden Arenas at Pula Film Festival: Best Actor, Best Make-Up and was well received at many film festivals around the world. 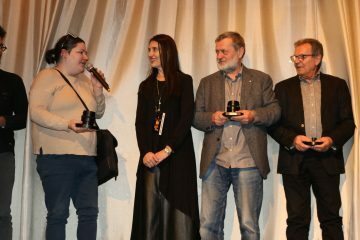 At Pula Film Festival 2012 Schmidt’s Vegetarian Cannibalwon five Golden Arenas, including those for Best Director and Best Actor (Rene Bitorajac). Vegetarian Cannibalhas represented Croatian cinema at the Oscars competition. In 2015 Schmidt was awarded with best Screenplay and Best Editing at Pula Film Festival for the movie Ungiven which has also Golden Apricot for Best Film in Golden Apricot Film Festival in Yerevan, 2016 as well as FIPRESCI. His recent movie Apage(2017) was awarded with the Best Editing at Pula Film Festival and the Best European Actor (Goran Bogdan) at the Festival del Cinema Europeo in Lecce, Italy 2018. In 2018/2019 Schimidt is at the pre-production stage with his new project Poker. Stanislav Babic was born in Zagreb, Croatia, in 1945. Graduated in 1969 from the Faculty of Economics in Zagreb. From 1970 until 1989 worked as a TV Belgrade, TV Titograd and TV Pristina representative in the Republic of Croatia. In 1990 until 2000, through his own production company VESTACO, Vienna, he produced commissioned TV-commercials and documentary corporate films. My clients we Podravka, Kras, Franck, Tvornica duhana Zagreb. In 2001 he founded his own production company in Zagreb – TELEFILM d.o.o. Sara Hribar was born in Zagreb in 1986. She studied film and TV directing at the Academy od drama arts in Zagreb. 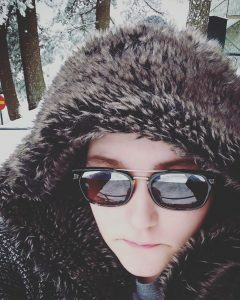 She has written and directed critically acclaimed short films such as LET ME SLEEP (2007), TELL ME ABOUT LOVE (2008), LIBERTANGO (2009), THAT LITTLE HAND OF YOURS (2010) and FROM ONE DAY TO ANOTHER (2013). She participated as a writer/director in critically acclaimed film omnibuses ”ZAGREB STORIES VOL.II” and ”TRANSMANIA”. Lada Kamenski is her feature debute. Film had it’s world premiere at Pula film festival where Hribar won for best screenplay and best debutant. 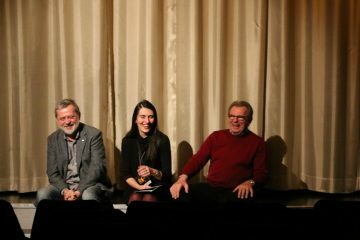 Film’s international premiere was in Montreal World Film Festival. Since then it has been shown in 30 different festivals and counting. 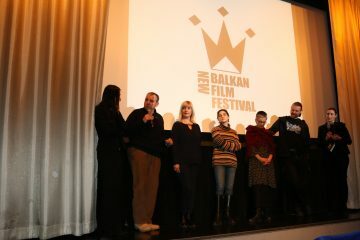 Vallentuna – Balkan New Film Festival 2019, between 22-24 feb.